Tatumitsa was found as a kitten in August 2011 with a badly damaged front leg and full of worms (first two photos). Her leg was amputated and soon after she was adopted in Holland. 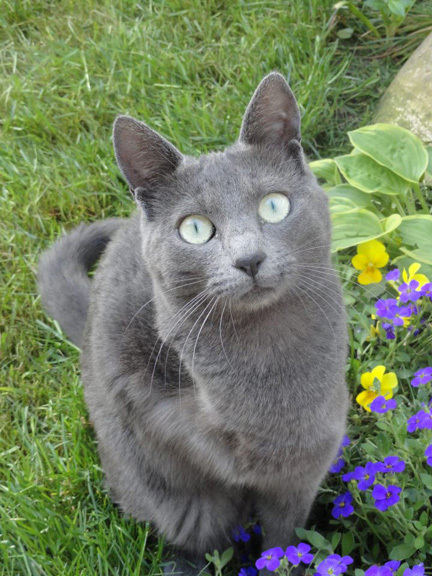 Now she is a happy, healthy, gorgeous gray cat, and we are so happy for her.